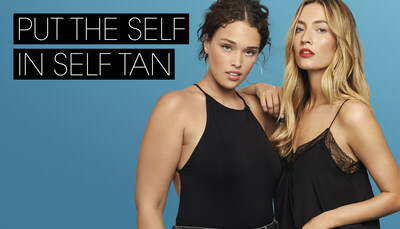 LONDON, April 10, 2019 /PRNewswire/ --Â A national survey* reveals that 1 in 3 women across the UK are being shamed for fake tanning. 44%Â of women admit to judging their fellow females for wearing a sunless tan and over half a million women in the UK have experienced negative comments online, specifically for wearing fake tan. 60% of women who have experienced judging looks and insults say that their confidence was seriously knocked, they went straight home, and they did not wish to leave the house. Whilst 70% of the women surveyed admit a badly applied tan is the number 1 reason theyÂ judge another's appearance. But, in-spite-of the stigmas, the survey revealed that 42%Â of UK women who proudly wear fake tan cite their two main reasons for doing so as looking well and feeling confident. In addition, having a post-holiday tan also features in the top 3 confidence boosters, which also suggests that golden glowing skin inspires us to feel our best and on top of our game. Michaella Bolder, St.Tropez Tanning Expert, says. "Self tanning in itself can be a bit intimidating and if the main reason women are being judged on their tan is poor application then St.Tropez are doing everything they can to provide products which are mistake-proof â�“ after all, it's the safest way to tan. Tanning isn't a one look fits all, for some it's a deep dark bronze but for the majority, it's a natural, healthy post-holiday glow â�“ but most importantly, it's one that suits them. It's empowering to be able to offer women that feeling of confidence and positivity all year round. The Purity Bronzing Water range is so easy to use, it's virtually impossible to apply it badly. I am proud to be working with a brand that champions women and You Set The Tone is the first step to ending the stigmas associated with tanning for good." **Â IRI MAT 52 Sept 2018 & Kantar Awareness Survey 2018, sample size of 521 women aged 16-64.